Abstract. 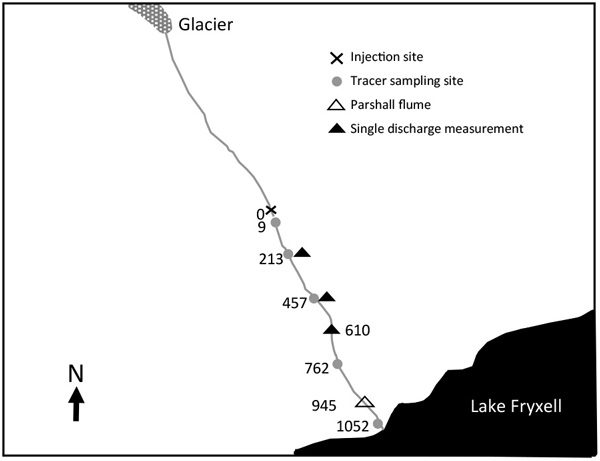 One of the mechanisms that greatly affect the pollutant transport in rivers, especially in mountain streams, is the effect of transient storage zones. The main effect of these zones is to retain pollutants temporarily and then release them gradually. Transient storage zones indirectly influence all phenomena related to mass transport in rivers. This paper presents the TOASTS (third-order accuracy simulation of transient storage) model to simulate 1-D pollutant transport in rivers with irregular cross-sections under unsteady flow and transient storage zones. The proposed model was verified versus some analytical solutions and a 2-D hydrodynamic model. 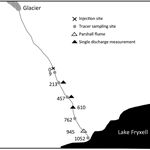 In addition, in order to demonstrate the model applicability, two hypothetical examples were designed and four sets of well-established frequently cited tracer study data were used. These cases cover different processes governing transport, cross-section types and flow regimes. The results of the TOASTS model, in comparison with two common contaminant transport models, shows better accuracy and numerical stability. How to cite: Barati Moghaddam, M., Mazaheri, M., and MohammadVali Samani, J.: A comprehensive one-dimensional numerical model for solute transport in rivers, Hydrol. Earth Syst. Sci., 21, 99-116, https://doi.org/10.5194/hess-21-99-2017, 2017.